The Colca Canyon, located in the department of Arequipa, is a natural landscape that you should not miss if you are visiting Peru. Especially if you like to be in natural environments more than the cities, to see animals and to trek. This is the second deepest canyon in the world, even deeper than the Grand Canyon! 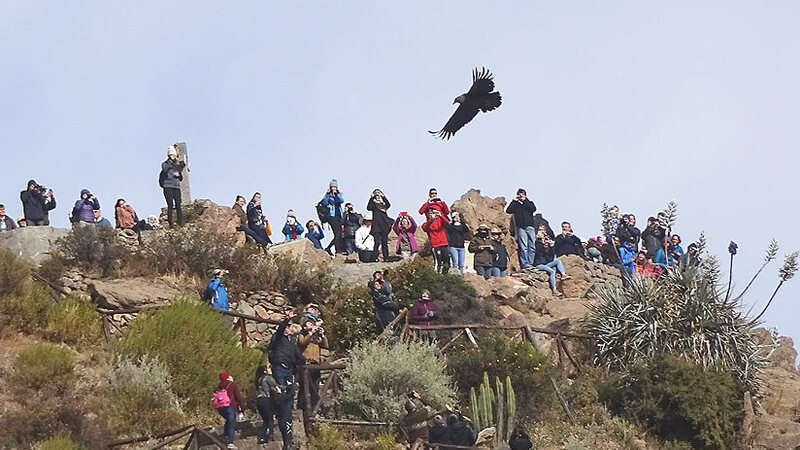 In addition, it is the best place in South America to admire the magical Andean protector: the Condor. The Colca Canyon is located 4 hours away from Arequipa City, so the trip is doable in one day, however, we advise staying there for at least one night to be able to enjoy and explore better. There are plenty of accommodations in Chivay and Yanque, the popular villages nearby the Canyon. It is better to hire a tour that includes transportation from and to Arequipa instead of reaching the place on your own. It is also advisable to stay one night in Arequipa before going to the Colca Canyon trek in order to acclimatize to the altitude. If you decide to do a one-day tour, you would be leaving Arequipa at 03:30 approx and be back there at 17:30 hrs. This can be a good option for travelers with a tight schedule that does not want to miss this place. If you love to discover a new type of animals and birds, this is the place for you! There, you can find over 100 kinds of birds, 300 types of plants and more than 30 types of cactus. So if you are the type of traveler that enjoy “catching” a new bird or plant, you will enjoy this place. 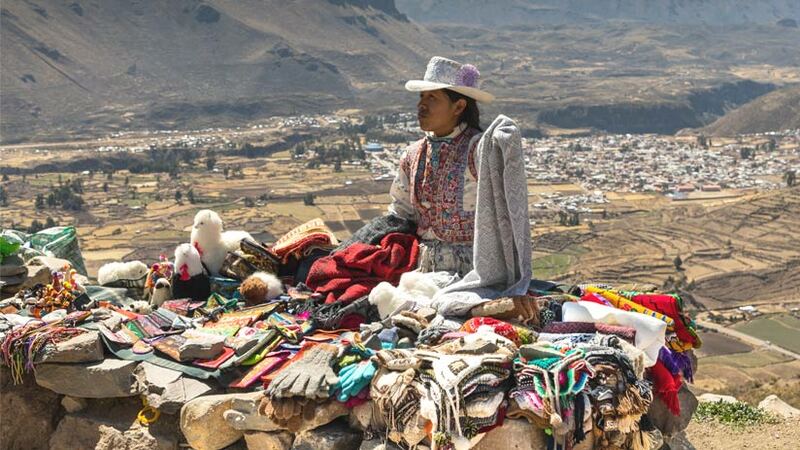 The villages that are located around the Canyon are known for being traditional and colorful. We bet that you will find interesting stories and many authentic souvenirs to buy. You can also take pictures with the llamas, alpacas and if you are lucky, with a big bird related to the condors. But take into consideration that you will be able to know more in-depth this area if you stay there for at least one night. The Colca canyon is an incredible adventure travel Peru destination and it is at a high level regarding the sea, so it is very important to be hydrated. Take with you a big bottle of water, sun cream, hydrating cream, and a balm lipstick. Bring your sunglasses and your hat. In addition, in order to enter the national reserve, it will be good to have your passport handy or at least a copy of it. Take local money with you always and if you will do a long trek, be sure to wear trekking shoes or boots, also a warm jacket for the early morning and the afternoon, as the temperature is very cold at that time. As we mentioned in different articles, it is not hard to recognize a good tour company. 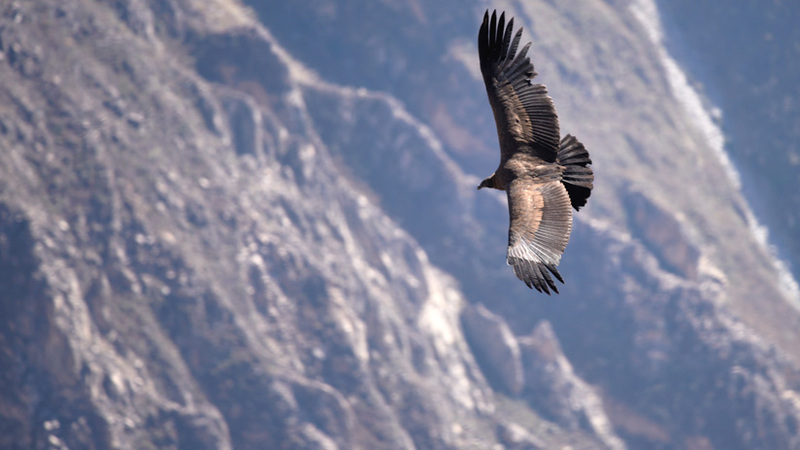 Therefore, when you are planning your trip to the Colca canyon be sure to hire a responsible and reliable company. You can check at their reviews on the internet, interact with the sales person to see if they know how to respond to your questions and compare the price between agencies. If one is especially cheap, try to ask why and don’t trust the cheapest offer you receive. 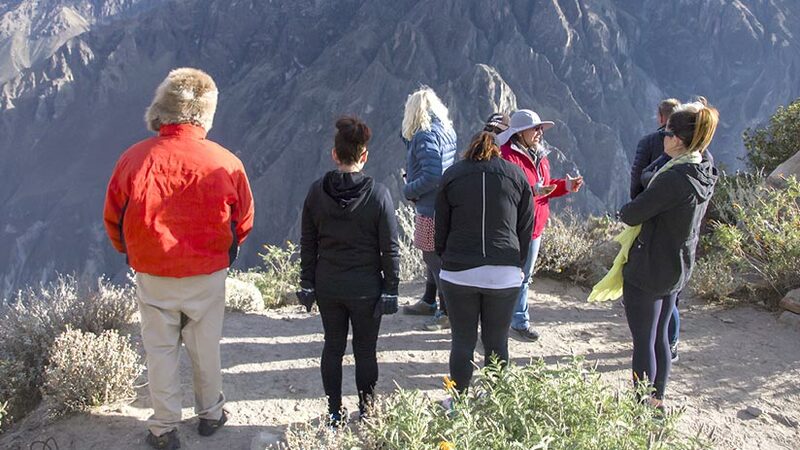 We want to take the advantage and advise in some places and activities you can do in Arequipa, before or after your visit to the Colca Canyon. 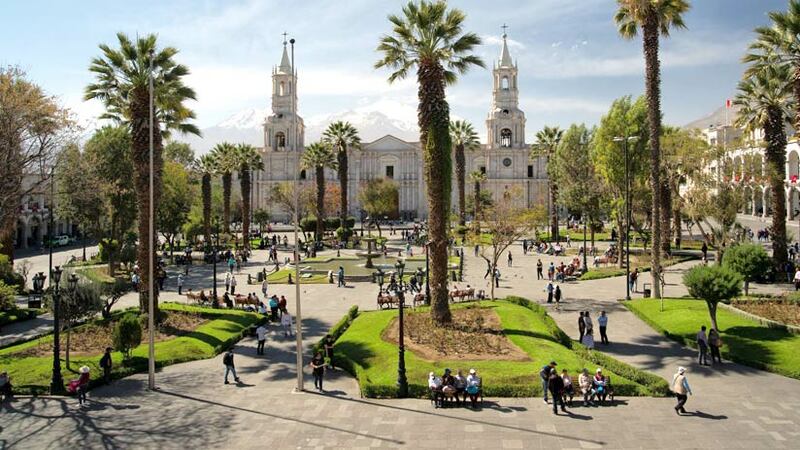 Arequipa is Peru’s second city and is located in the south of the country in the middle of the Peruvian desert. The city is a fabulous mix of old and new and has a wonderful history to learn. Arequipa is one of the most pleasant cities in Peru, the perfect place to spend a few days on your trip to Peru, with a great climate all year and near to no rainfall. The city has a different feel to most other cities, it is modern and the people are also a little different, Arequipa has a vibe of today where some other places in Peru live a little in the past. 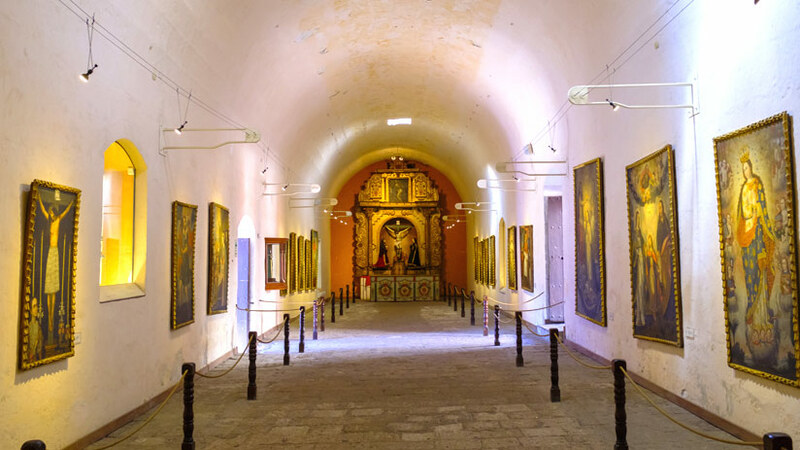 Having said that the city has its colonial past where you can visit attractions like the Santa Catalina Monastery and take a tour with the Nuns that still live and work the convent today. The convent is a labyrinth of laneways with an interesting history. The main plaza in Arequipa is one of the prettiest in Peru. Well-tendered gardens and plenty of flowers make the plaza a special spot to spend some time. The Arequipa Cathedral is located on the plaza and is made, as is most of the city from white volcanic stone. Surrounding the plaza are many Spanish Colonial houses, which today are restaurants where you can enjoy a tasty lunch. You should take the time to visit some of the museums in Arequipa, especially where Juanita is housed. Juanita is a mummy found in the Andean peaks with a fascinating story so take the time to visit and learn her story. Arequipa is also becoming a food destination. In the white city, the typical Arequipa Restaurants are known as Picanterias. Here you will find all the local specialties to try, but be warned the plate sizes are large so go with a big appetite. Considered the signature dish in Arequipa is Rocoto Relleno. Made with Red Peppers that are cleaned and the seeds removed, then the pepper is stuffed with chopped meat, peanuts, boiled eggs, olives, cream cheese, and milk, and baked in the oven when is ready served with potatoes. Ocopa, this dish normally served as an appetizer is boiled potatoes covered with a cream made from yellow hot pepper, onion, garlic, cream cheese and a spice called huacatay, blended with dry bread, the plate is also served with boiled eggs, olives and lettuce. 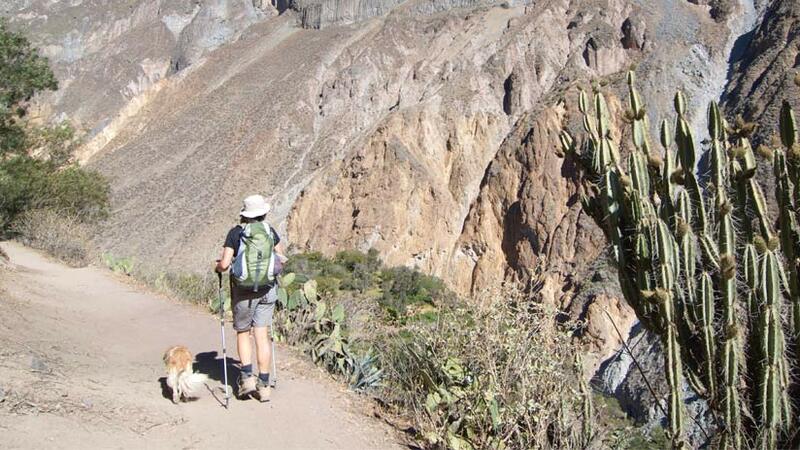 We truly hope you enjoy your trip to Arequipa and the Colca Canyon! Peru Travel Tips, Travel To Peru adventure, arequipa. permalink.